Well, it looks like I might actually make it to a couple of rallies next year! Every year, I make it to the Rally in the 100 Acre Wood that takes place in Salem, MO in late February, but the rest of the Rally America National Championship events all happen either near the East or West coasts. Ok, yes, there’s the Sno*Drift Rally in northern Michigan, but in addition to the fact that I’m a total wimp when it comes to cold weather, Sno*Drift also takes place right as the Spring semester is getting underway, and it’s not really a time of the year that I can just take a couple personal days to go to a race. 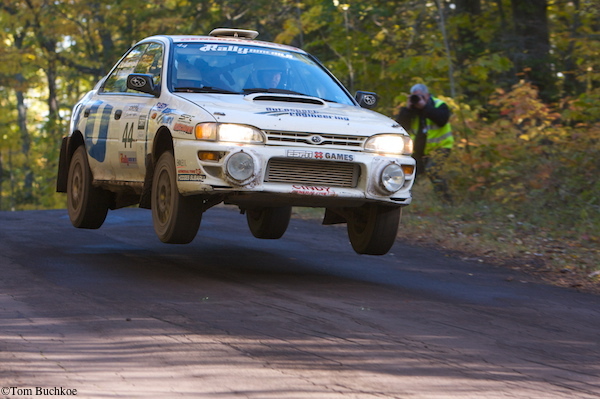 On October 18 and 19th of next year, Rally America will return to Minnesota for the Lake Superior Performance Rally. This isn’t quite the easy jaunt that 100AW is, but it’s still a much easier trek, and a drivable one at that. ROAD TRIP! Although we’re still waiting on the full 2013 schedule, here’s the official Rally America release announcing LSPR. Williston, VT (October 25th, 2012) — Rally America is proud to announce the return of the Lake Superior Performance Rally (LSPR) to the 2013 Rally America National Championship on October 18- 19th, 2013 after three seasons spent as a Rally America Central Regional Championship event. The LSPR Rally, headquartered in Houghton, MI, was originally part of Rally America’s national calendar from 2005-2009. The decision to add LSPR was partly due to the strong support from the host city and its local businesses, such as Auto Value Auto Parts and Country Inn & Suites. In addition, local area teams have always entered LSPR regardless of it being a national or regional event proving that LSPR is a driver’s favorite. All those factors gave Rally America incentive to include this professionally organized event in the national schedule. 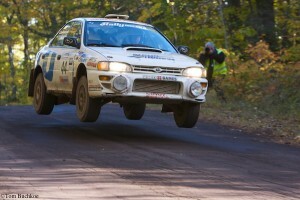 The full Rally America National Calendar is currently being finalized for a near future announcement, but Rally America is proud to release early news of LSPR’s Championship involvement at this year’s 18th running of the Lake Superior Performance Rally, which takes place on October 26-27th. The LSPR Rally is commonly referred to as the oldest, toughest and meanest rally in the nation. 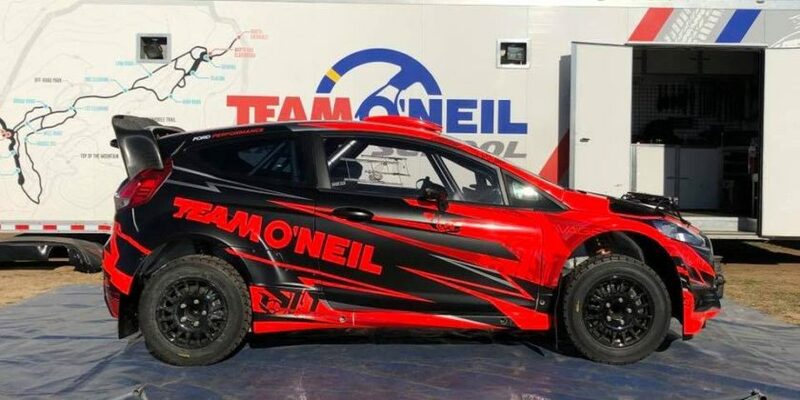 It also has a rich rally racing history stemming back to 1949 when it was known as the Press-On-Regardless Rally – a Time-Speed-Distance event – and also as a round of the World Rally Championship in 1973 and 1974. 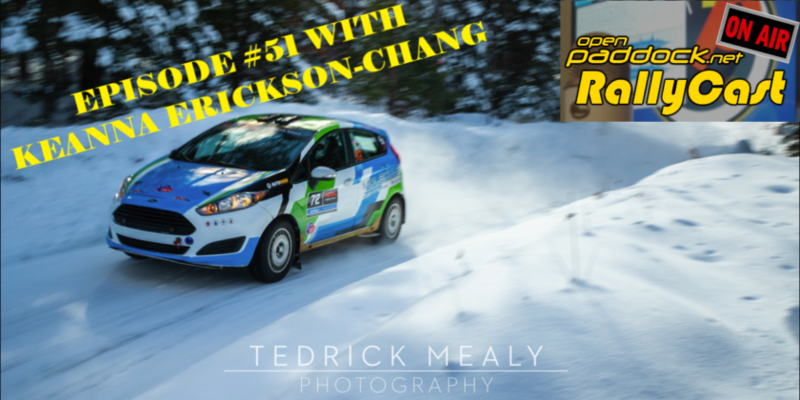 Known as the Lake Superior Rally in 1994 when it was part of the SCCA ProRally Championship, Rally America picked up LSPR as a national championship event in 2005 and it remained on the schedule through 2009. The Lake Superior Performance Rally will take place during the Fall season when trees turn vibrant yellow and weather from the lake brings chilly air and a chance of rain and snow. As a result, the LSPR Rally provides the ultimate challenge to rally drivers who enjoy winning rally races under what could be, some of the harshest conditions they would experience all year. Based in Williston, VT, Rally America, Inc. sanctions the Rally America National Championship which consists of at least six national-level events located at a variety of venues across the country, from Seattle, Washington to Newry, Maine. Top competitors in the Rally America National Championship reach speeds of well over 100 mph in modified street cars such as Mitsubishi Evolutions, Subaru WRX STI’s, Ford Fiestas and Scion XD’s on natural-terrain courses consisting of gravel, dirt, ice or snow. For more information regarding Rally America’s National Championship or the sport of performance rally, visit www.rally-america.com. Indycar-October; A month of contemplation.